I think Bakayoko needs a rest. He needs to get out of the team, not to rest. We are the ones who need a rest from him. Arsenal are on a nice run of penalties awarded against them. Let's keep the trend going! On a more serious note - we must win this and by some margin to have some breathing space in the second leg. 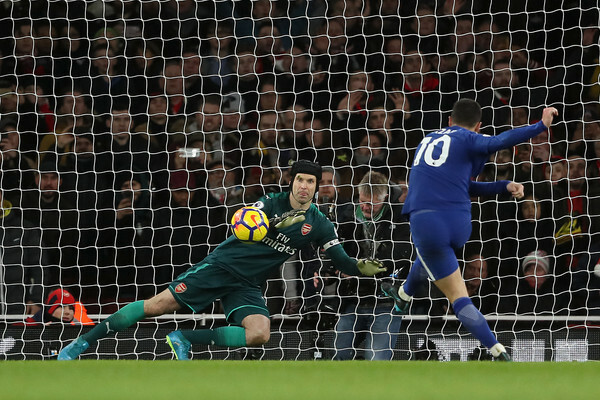 Petr Cech was rested for the Cup defeat at the hands of Forest, but he is likely to retain his position between the sticks. Likewise, Calum Chambers is certain to be recalled in central defence, and he may partner Rob Holding and Shkodran Mustafi, though the latter is likely to have a late fitness test on his injury. At right wing-back, Hector Bellerin is likely to make his comeback after his match-saving effort versus the Blues last time around whilst Ainsley Maitland-Niles is probably the sole contender to start in the opposite direction with Sead Kolasinac injured. In midfield, Jack Wilshere could be paired alongside Mohamed Elneny as Wenger didn’t seem to offer a positive injury update on Granit Xhaka, who was deemed to have suffered a knock prior to the FA Cup game last weekend. Further forward, we could see first-team regulars Mesut Ozil and Alexis Sanchez paired in the attacking midfield with Alexandre Lacazette likely to lead the line ahead of Danny Welbeck, who did little to impress versus Forest. We've rested 9 of our starters against Norwich, we should put at least two past Arsenal - their defence is bang average. Seeing speculation on Twitter that despite his impending move to City, Sanchez may still start this. Not sure why he would risk injury here. Do or die for Morata. All eyes on him. Especially because we have same opponent, and we are playing at our ground. I hope we win, but I really hope he doesn't score a header. He'll be starting against Leicester regardless of what he does on the pitch tonight, as we don't have any backup that Conte is content with. He's right under the microscope now Morata. Really interesting to see what happens if he is through one on one tonight and see how it plays out. God help him if he misses, the sheer pressure is just going to get worse and worse every week if he keeps constantly missing with his feet. I am actually expecting him to convert one of his chances today so we can complain why he could not do it a week ago and win it for us. I don't think my heart can handle another 90 minutes of Morata 1v1's. I'm even contemplating not watching the game. This will be a true test of his character. See Ospina is in instead of Petr, lets hope Iwobi starts too. Didn't Musonda just play and score for our dev side yesterday? Doubt he'll be in the squad if so. Plus talk of him going on loan. I bet we go full strength tonight. I too would like to see Barkley make an appearence but he probably isn't quite ready yet. And from instagram a couple of mins ago, he’s enjoying video games at home.